All homes currently listed for sale in the zip code 90814 as of 04/23/2019 are shown below. You can change the search criteria at any time by pressing the 'Change Search' button below. "MAJOR PRICE ADJUSTMENT. MOTIVATED, Sellers bought another! 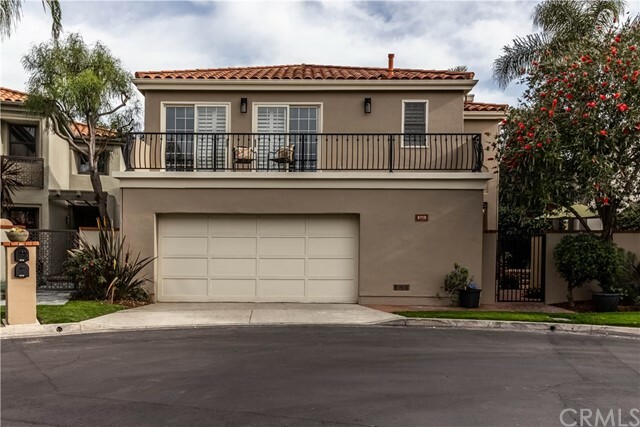 Have you ever thought about owning a place on one of the largest interior lots with a parklike backyard and huge pool, in a quiet location of Alamitos Heights with a view of Marine Stadium, and a short walk to Rogers, Lowell and Wilson, look no further! Make this home your own with a little personal touch, taking advantage of 3700sf of huge rooms, a great-room kitchen, and gracious master suite with 3 walk-in/step-in closets, vanity room and grand bath of marble. It is a perfectly oriented lot of almost 10,000 sf to optimize the private yard, along with huge 2 car garage and RV parking potential. Truly meant for the discerning buyer to make it their dream home and enjoy for years to come, including HVAC, Granite, marble, built-ins in every room, all in a 50s modern or traditional style, you choose. 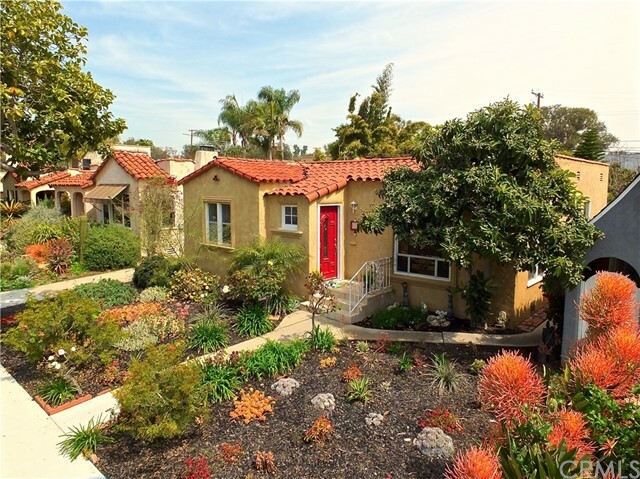 This is a rare opportunity, convenient access to routes for commuting to LA and OC, and a walk to schools, concerts in the park, farmers market, beaches and waterways "
"2 Houses Come be enchanted. This lovely Belmont Heights home is a delight to entertain family and friends with an open floor plan and beautiful brick backyard that is shaded by an incredible big old California live oak tree. The property is a legal 2 on 1 in an R-1 neighborhood. The charming front house is a 3 bed, 2 bath with hardwood floors and a living room with rich wood paneling and large picture windows adding an abundance of natural light. The living room flows into the dining area and open kitchen the features built-ins, granite counters, a center island, warm maple cabinets and a view of the inviting back yard patio. There are 2 bedrooms and a bathroom on the main floor. The 2nd floor master suite floorplan allows for an open office space at the top of the stairs that leads you to the master retreat/bedroom with high vaulting ceilings, wonderful gas/wood burning fireplace, a full bath with jacuzzi tub and a large deck to enjoy your morning coffee. The large backyard patio offers an added entertainment area, with a hint of Carmel, featuring the brick patio, big old trees and plants. The 2nd house is the original house built on the property and is a cute 1 bedroom, 1 bath home with it s own back patio. This can be used as a home office, in-law/guest house or a legal rental unit. There is a large detached 2 car garage." "If you have been searching for a 4 bedroom, mid-century home, in Alamitos Heights then look no further! 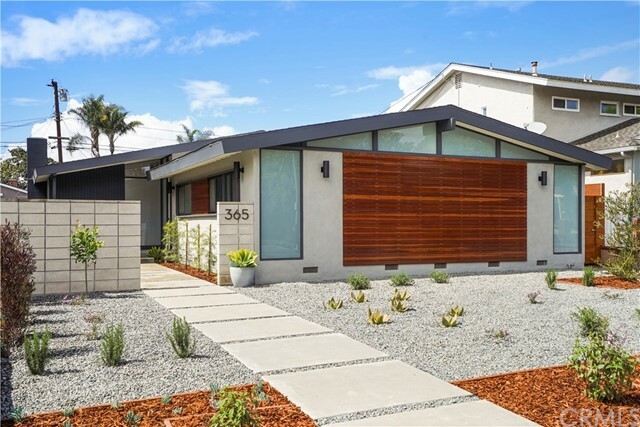 This completely remodeled home is yours for the taking. From the moment you pull up to the house you get the feeling that something special is about to happen. From the well designed (and low maintenance) landscaping to the amazing redwood fa ade all surrounded by new double pane, opaque glass, you are led into a welcoming front gathering area. Standing at the 8' tall front door you see even more glass that allows an abundance of light to filter into the house. The entry foyer leads you to the brand new kitchen, complete with a generously sized island that provides plenty of space to entertain and to dine at. Next you will notice the expansive open floor plan with the kitchen at the north end, the fireplace and sitting area at the south end and the dining area in the middle. The array of hanging light fixtures and wall sconces will no doubt be conversation starters. The original 3 bedrooms are on the east side of the house along with two full bathrooms that feature Hansgrohe plumbing fixtures along with amazing tile work. The former bonus room (added in the 80s) was transformed into a 4th bedroom and an office / T.V room. The flooring is Brazilian teak, except for the bedrooms which are carpeted. The house has new windows and sliders, new roof, new HVAC, new tankless water heater, new fencing, upgraded electrical and plumbing, and is wired for T.V / AV and Cat 5." "Duplex located on prime elevated lot in spectacular Belmont Heights . Back, main home boasts 3 bedrooms, 2 bathrooms with rustic 1950's cottage style feel, while the front house is a simple, modern two bedroom, one bath. Larger home is two stories with hardwood floors through-out. Living area has old brick wood burning fireplace with authentic wood panel walls. Adjacent to living area is a family room for added entertaining space. 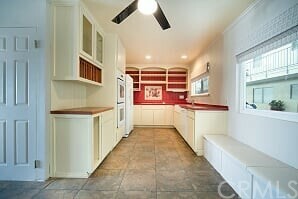 Darling retro kitchen with charming tile floors, vintage appliances, walk-in pantry (with barn door), and breakfast bar. Second floor has master bedroom with adjoining office area. Master has Lagoon views and tons of natural light. Two additional spacious bedrooms plus Large bathroom with double vanity and old school laundry chute. Over-sized 2 car garage plus laundry for use of main home. The two bedroom house has open floor plan with newer wood floors. Extremely turn-key and perfect for the fussiest mother in law or fantastic rental. Both units have been upgraded with new plumbing and air conditioning. Short stroll to Belmont Shore local eateries and shopping, Marina farmers market, concerts in the park, plus much more!" 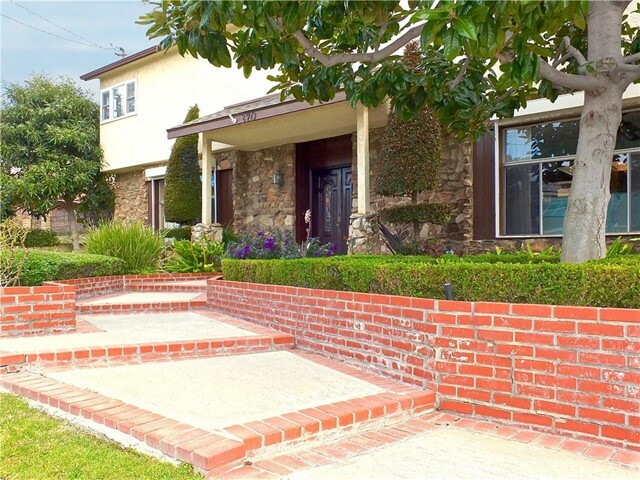 "Beautiful custom home located in highly desirable area in Belmont Heights Long Beach. Built from the ground up in 2007, this home boasts 3,258 square feet of living space with 4 spacious Bedrooms & 4 Baths, situated on a huge and private 7,527 sqft lot. The home is next to a park, Colorado Lagoon, and near the Belmont Shores. Grab a bite and enjoy the night life at all restaurants and shops near by on 2nd St. There is quick access to 22/605/405 freeway. Priced aggressive for a quick sale." "This stunning newly upgraded Mediterranean Villa located in one of Long Beach's most exclusive gated communities Del Lago is move in ready. The light and bright living room has a two story vaulted ceiling, recessed lighting, crown molding, marble faced fireplace and custom window treatments. Adjacent to the living room is a newly upgraded powder room and full size laundry room with a door leading to the large two car garage. The flooring throughout this beautiful home is custom ordered Italian light grey distressed looking wood plank tile. Opposite the living room is a large dinning room that leads to a light and bright atrium. The gourmet kitchen has been updated with granite counter tops, backsplash, breakfast bar, newer stainless appliances with white cabinets that overlook a nice and bright den area. Both the living room and kitchen have newer French doors that open up to the sparking pool/spa with tiled pool deck, custom wood like manufactured deck and a larger area the wraps around the home for entertaining guests or a pet area. Continue up to the second floor you will find the spacious master suite with custom shutters, walk in closet with built ins. The newer custom master bath has a separate glass enclosed shower, soaking tub and dual vanity. Del Lago is a quiet gated community located near the water, parks, golf, award winning schools, shopping and restaurants." 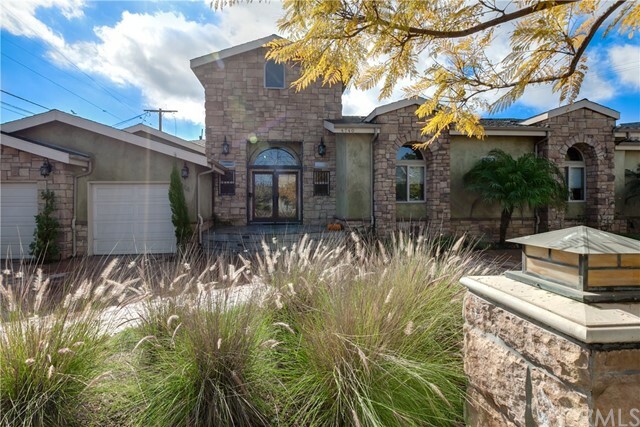 "Stunning 4 bedroom, 3.5 bath home within the exclusive community of Del Lago! Soaring 2-story, beamed ceilings in main living area; amazing natural light & a feel of indoor/outdoor living w/several access points to large, lushly landscaped private patio & sunny atrium. Additional features include a large fireplace w/custom wood mantle in living room; addt'l fireplace & in-ceiling speakers in the family room; newer flooring downstairs, on stairs, and in landing areas; central heat & A/C; updated kitchen w/breakfast bar, granite counters, black appliances, Mission-style wood cabinets, & garden window; dedicated laundry room; guest powder room down & 2 full guest baths upstairs; a spectacular master bathroom remodel done 2 years ago w/huge shower, separate toilet area, dual sinks & separate vanity; large formal dining w/built-in buffet & lighted glassware niche; huge master w/plantation shutters for 2 large sliders to private balcony, coved art niches, and triple wide closet w/custom shelving & lighting; 2 car garage w/direct access; & gated courtyard entry. Backs to community greenbelt for extra feeling of space, & all the meticulously cared for potted plants stay! The Del Lago community has controlled access w/resident & visitor gates, community landscaping, greenbelt, and a wildlife refuge with lagoon.- Minutes from Long Beach Marina, Bixby Village Golf Course, CSULB, Marine Stadium, Beaches, Fwys, Belmont Shore, Naples, & the new 2nd & PCH Retail/Dining complex!" "Beautiful updated home in a prime top of the hill location in Belmont Heights. Luxury features include hardwood and travertine floors, central air conditioning, custom light fixtures, 5 skylights, 2 fireplaces (indoor and outdoor), gourmet kitchen, plantation shutters, french doors, granite counters, stamped concrete driveway and much more. 2nd Street is an easy 1/2 mile walk without the parking congestion." 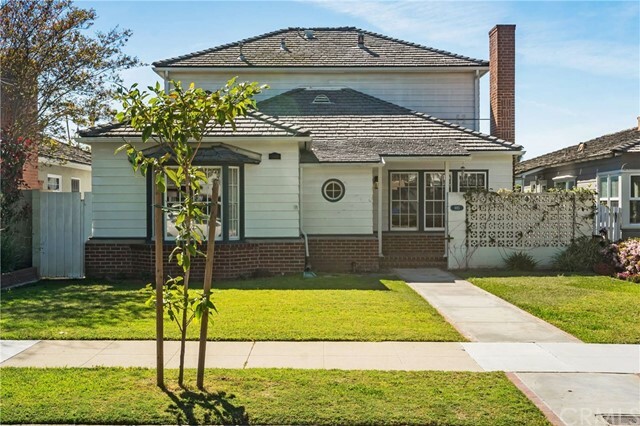 "Restored Craftsman Bungalow located in the highly desirable South Rose Park Historic District, just a few houses from Belmont Heights. This 1915 showcase has been restored to its' original glory. Enter into the spacious living room and see the beautiful hardwood floors throughout. The wood burning fireplace with a gas start is surrounded by beautiful woodwork and built-in's. The craftsmanship of the woodwork is just breathtaking and can be seen in the formal dining area and throughout the living room. The fabulous chandelier sets off the cover ceilings, wood picture rail molding and window trim. The front room has a bench seat with storage, glass door knobs and a walk-in closet, which makes this a potential 3rd bedroom. The tax roles show this is a 2 bedroom. The 2 bedrooms are bright with hardwood floors, glass door knobs and spacious closets. Oversized 1 bath with the potential for a 2nd bath off the kitchen. Fresh exterior paint, newly rebuilt front and side staircases, a refinished garage and a new north facing privacy fence entrance to the garage complete the setting. Seeing the finish and attention to detail of this home is a trip back to time when they did built them that way. Seeing is believing." "European Romanticism. That is what comes to mind as you sip on your morning coffee while being surrounded by lavish plants & blooming flowers. The backyard also includes an entertaining area & a separate private zen garden. Take your favorite book or yoga pose and enjoy the tranquil afternoons as the dual fountains ease you into another great evening. The interior of this beautiful home carries on with the romantic charm. The front sitting room features a barrel ceiling & large windows which greets you with a warm fuzzy feeling. You can see past the dining & extra sitting room all the way into the flower filled backyard. The skylight welcomes in so much natural light... who needs Edison during the day? Not you. The kitchen has great views of the garden & its very own sitting area. There is an actual laundry room off the kitchen with a built in wine rack. Wine & Wash anyone? The front landscape is eco-friendly with so much natural beauty especially when the plants are blooming. Simply a beautiful home that is located in the highly sought after neighborhood of Belmont Heights." 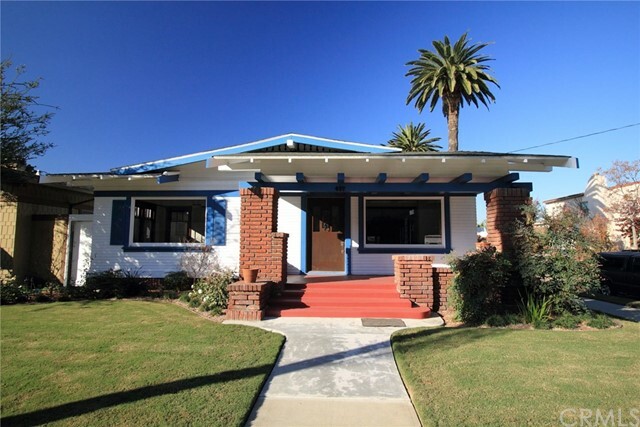 "***BACK ON MARKET*** Introducing 2514 E 5th Street, upgraded and spacious home in the premier historic district of Rose Park South. Experience the Southern Charm of this beautifully upgraded home. Featuring three bedrooms and three bathrooms with approximately 1958 sq ft of living space and large approx 5009 sq.ft interior neighborhood lot. Formal entry with dining area and formal living room with magnificent fireplace. Separate family room with it's own cozy fireplace and newer slider opens to private backyard. Fabulous upgraded kitchen with all the modern elements you have been looking for featuring brand new stainless appliances and beautiful cabinetry. Enjoy the sunny breakfast nook adjacent to the kitchen and tons of built in storage. Three spacious bedrooms upstairs including the grand master en suite with upgraded master bathroom. Romantic balcony off master suite with backyard and blue sky views. Additional features include new flooring, paint, carpet, and inside laundry room. The hidden basement is perfect for adding a wine cellar. Long, elegant driveway with two car garage and plenty of extra parking. Potential to add ADU for extra rental income! Sunny and private grassy backyard with ample entertaining space. Walk to Retro Row and bike to the beach. This beautiful estate is ready for it's new owners to call home." 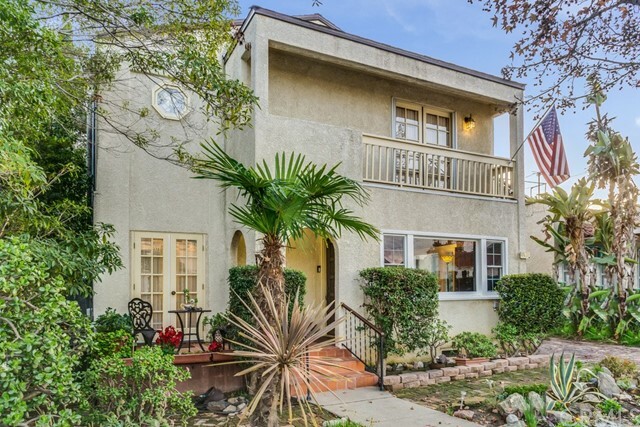 "Welcome to 685 Havana a traditional 4-bedroom, 2 bath Alamitos Heights home just loaded with lots of potential as there is ample room for a remodeled kitchen and formal dining area. The living room with a brick fireplace is light and bright with lots of windows letting in streaming sunlight onto the original hardwood flooring. All bedrooms are a good size. Entertain in your large backyard with tons of potential for a true resort type lifestyle. This home has entry-level pricing and the rare opportunity to live in one of the most popular neighborhoods in Long Beach with great schools such as Lowell Elementary, Rogers Middle School and Wilson High. Close to Recreation Park and Golf course; the Colorado Lagoon and Nature Preserve are close by for wonderful afternoons at the lagoon and nature walks plus beautiful Trees in the Bay at Christmas. Then there is Marina Vista Park which offers a Farmers Market every Wednesday afternoon and fabulous Long Beach Band Concerts in the summer." 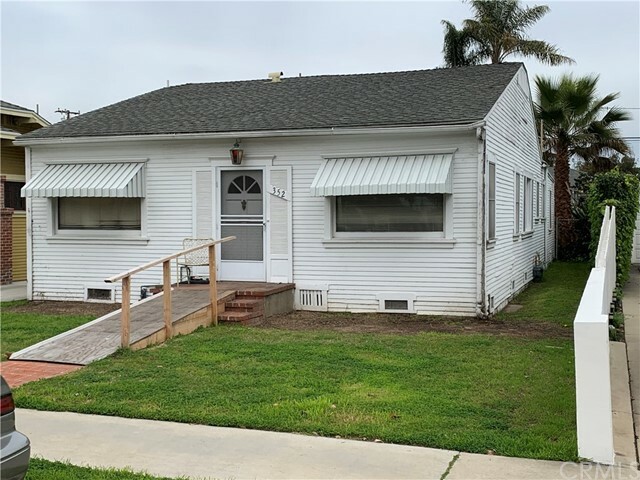 "Great opportunity to design your dream home on a good-sized lot in a fantastic interior tract location in one of Long Beach s oldest and historically significant neighborhoods picture perfect Carroll Park. This 1919 cottage has lots of interesting architectural details and is just waiting for someone with vision to bring out its potential and transform it into a modern-day masterpiece. The home offers two bedrooms, two bathrooms, an ample kitchen, a large living room/dining room and a separate laundry room. Behind the house sits a newer three car garage with an additional bathroom. There is so much potential here! Check with the city about all the possibilities there may be an opportunity to add square feet or a second level to the house and/or to turn one (or more) of the garages into additional living space. How cool would that be? 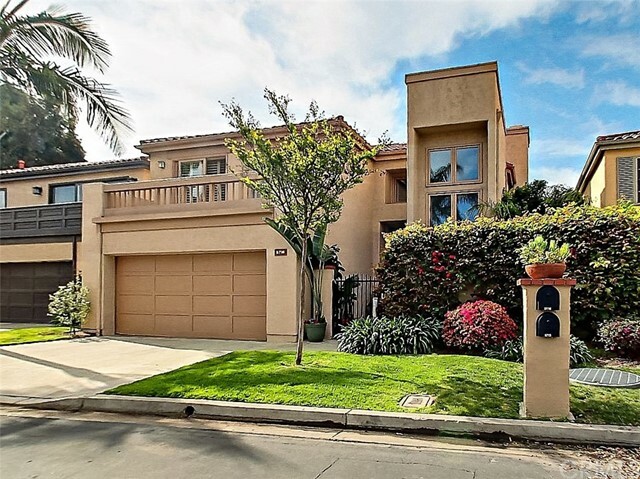 Carroll Park is a highly sought-after neighborhood due to its private feel, distinct houses and convenient location a short walk to the beach, parks, restaurants and shopping. Park your car and enjoy life! Don t miss this opportunity -- homes in this area do not become available very often!" "Be the proud owner of this beautiful turn-key Belmont Heights home located just a short walk to the green belt and Wilson High School. 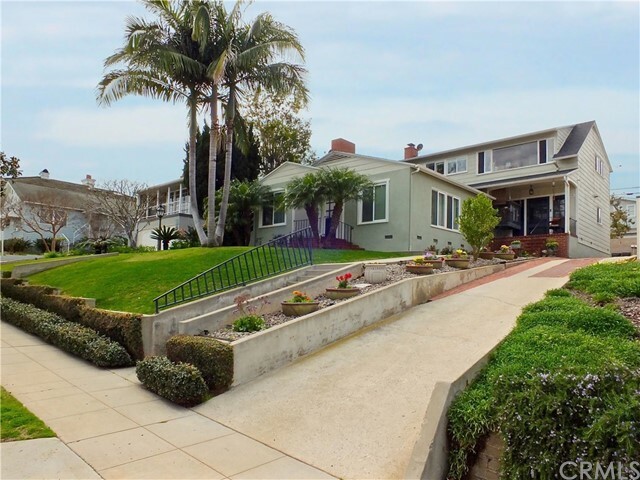 Belmont Shore adjacent with incredible dining, shopping & entertainment. Mature hedges surround the property and offer unparalleled privacy and beauty. The yard completely wraps around the property and features 2 private outdoor entertaining areas, including an elegant fountain. This 2 bedroom 1 bath home boasts of a large fully finished 2 car garage is the perfect rumpus room with additional space for 2 more cars in the driveway. The kitchen features newer custom cabinets, granite countertops, breakfast bar and in kitchen dining area. The living room is centered around an inviting wood burning fireplace and also has a door exiting to the backyard patio. The bathroom was remodeled and is accented with a stunning claw foot tub with separate oversized walk in shower. The large laundry room is adjacent to the kitchen which also has a door that exits to the back yard. 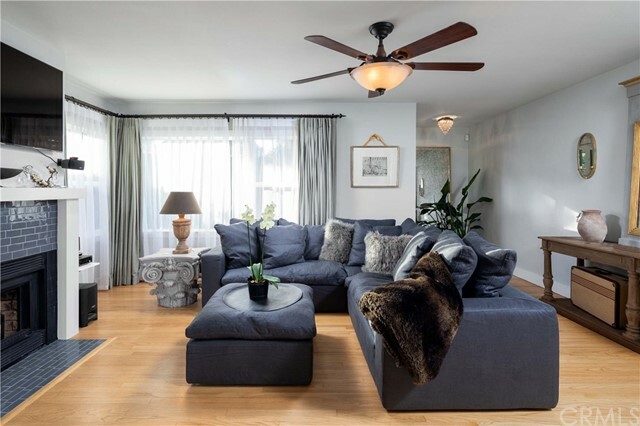 Special attention to detail throughout as seen in the hardwood floors, custom window coverings, custom closets, light fixtures, central heat and air conditioning and copper plumbing." 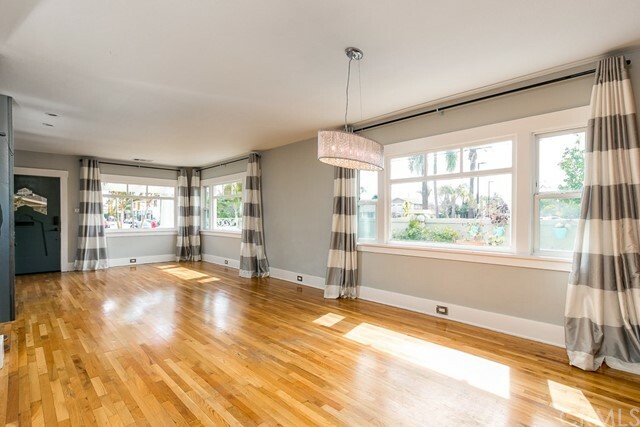 "Welcome to this Rose Park South Craftsman home artistically blending classic charm with contemporary luxuries. 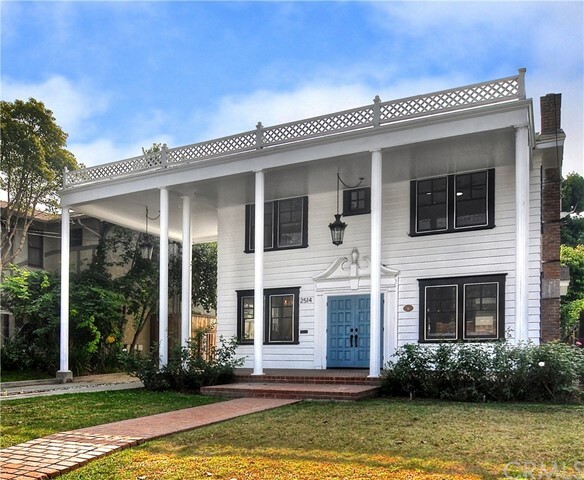 Built in 1923, this 4 bed 2 bath sits on a gated corner lot in the highly coveted historic district. Enter your spacious living room with an abundance of natural light and elegant stone-lit gas fireplace which opens to the dining area with a modern chandelier. The remodeled kitchen boasts upgraded cabinetry, stainless steel appliances, updated lighting, and breakfast bar. With 1476 square feet, the bedrooms are well-sized and the large guest bathroom has dual sinks. The master bedroom is at the rear of the house with carpet, en suite bath and french doors leading to back yard. Other features include rich hardwood floors, 5 inch baseboards and central a/c and heat. String lights, wooden planters, and a grass side yard, it's an entertainers dream! Attached 2-car garage with access from 4th street provides additional parking convenience. The home is ideally situated - Close to 4th Street's rich art, quaint cafes, modern dining experiences and dynamic culture of Retro Row." "Historic Rose Park has been described by This Old House Magazine as a hipper expanded version of Mayberry with its bungalows, cottages and vintage traditional houses. 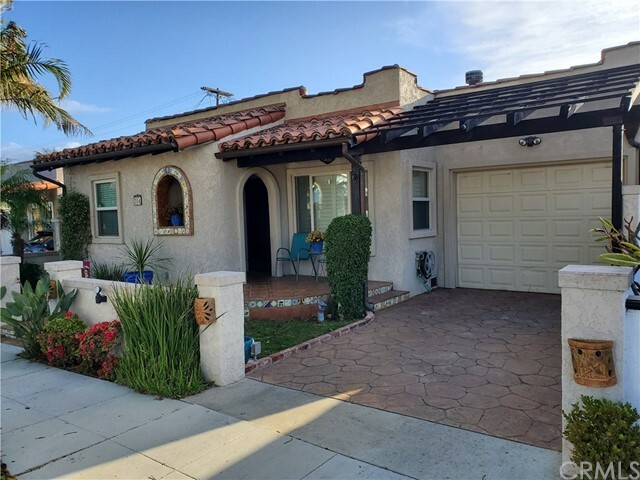 This home located in the southern section is adjacent to Retro Row, minutes to downtown, just blocks from the beach, and in the center of Long Beach's great east side neighborhoods. Inside there's a spacious living room, formal dining room all with hardwood floors. A completely renovated main bathroom utilizing high end materials and fixtures. An updated kitchen with stainless steel refrigerator and dishwasher, granite counter tops along with a gas cook top and oven. Next to the kitchen is a full laundry room with half bath and new stacked washer and dryer. The exceptionally private backyard has a new patio, large storage shed and is completely fenced in." "Rarely available 2b/r+den,2bathroom model with 3 parking spaces. Enjoy over 1200s/f of living space.All new kitchen with appliances, several walk in closets. new laminate,floors, Balcony's from rear doors. Walking distance to restaurants, shops, CSULB. Your own castle with perfectly maintained grounds and common areas." "(TRG sign may not yet be installed.) Rare opportunity in the coveted Belmont Heights neighborhood. Less than a mile from the Beach, and peaceful strand. Very low inventory area, situated on a wide, tree-lined street with ample parking. Surrounded by high end, single family, classic Craftsman and Tudor style homes. Close to schools, and walking distance to quaint and mainstream amenities. Also close to Downtown. Spacious, open floor plan! Breezy, with an abundance of natural light. Contemporary and fully upgraded/ updated. Lots of attention to detail, including a gas fireplace, and quality flooring. Separate dining, as well as countertop eating areas, modern kitchen, spacious bedrooms, and vaulted ceiling. Pristine, top level location. Noise reduction walls separate all units. Balcony, same level laundry, and 2 assigned, covered garage parking spaces. Secured, passcode, lobby entry. Low HOA Dues, with excellent coverage. Priced. To. Sell." "Welcome to 2844 E. 3rd St. Unit 107 in the city of Long Beach. This upgraded home boasts a wonderful living experience in this private building located in one of the historical districts of the city. As you enter the well-kept building you are greeted by a pleasant entrance way and the conveniently located elevator along with direct access to the parking area of the building. Once you take the elevator to the 1st floor, you ll see the nice enclosed courtyard. Upon entering unit 107, you ll see what fine condo living looks like just blocks from the beach and with its west-facing Anderson French style doors looking into a nice yard you are sure to be relaxed. The kitchen shows well with its red quartz counter-tops and bench area. This kitchen has roomy cabinetry and plenty of light with its east facing windows. As you walk through the home, you have a nice living room with its large closets. One closet can be used as a built-in-desk area. The bedroom has beautiful built-in shelving and a walk-in closet. The upgraded bathroom has what you need with its beautiful fixtures. The home is equipped with its own laundry closet. This unit has been upgraded over the years, with tile flooring, upgraded vinyl windows, built-ins, bench with storage, its own balcony, 1st-floor location, recessed lighting in the kitchen, double honeycomb blackout shades in the bedroom, 1 parking spot. 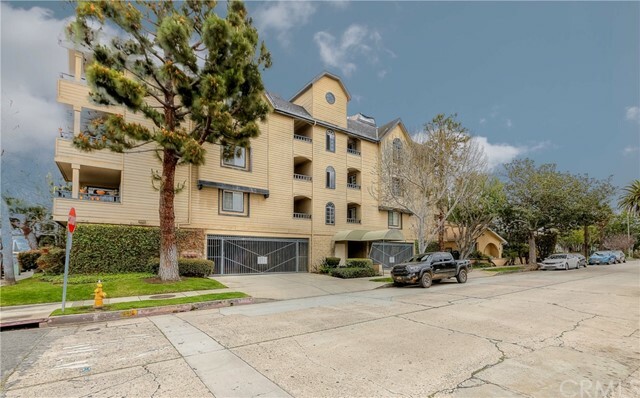 This is your opportunity to own a unit in this sought-after neighborhood. Come and make this home yours!"